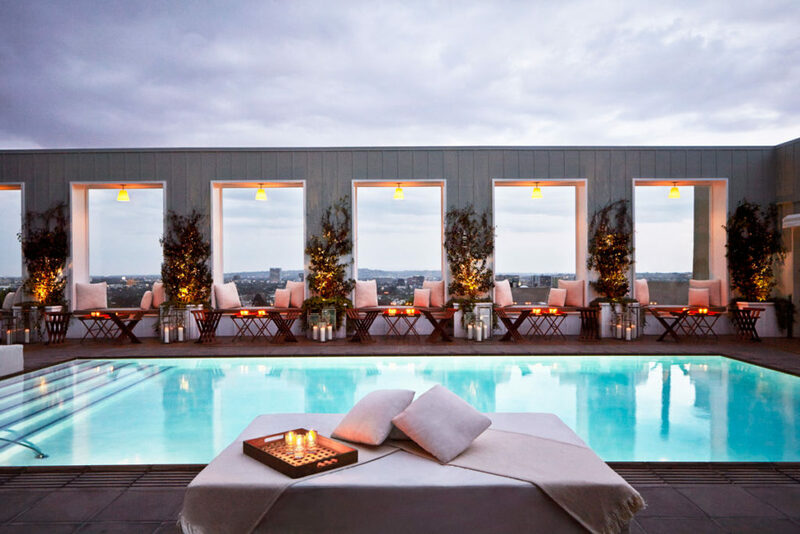 It’s not every day that you can kick back by the pool with a cocktail in hand in the dead of winter…unless you’re in a city like Los Angeles. 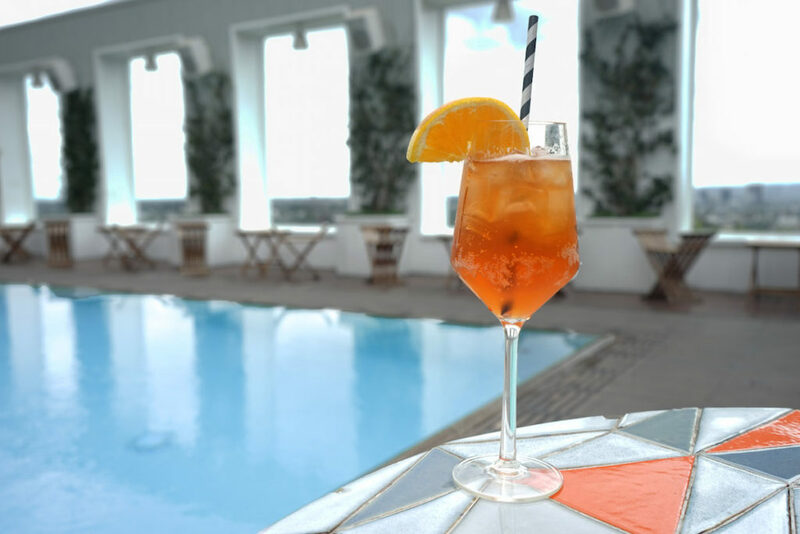 For those summery winter moments, we’re heading to one of our fave places to take in some festive poolside toasting in the city, the Skybar at Mondrian Hotel in West Hollywood, which just launched its new Golden Hour Sunset Sessions presented by Aperol to celebrate the holidays. It’s a little different than typical happy hour fetes, because it takes place during the last hour of sunshine in the city daily (7 p.m. – 8 p.m. PST). It’s also a key time to snap a photo to celebrate the holiday with friends, given how ideal the lighting is for images around that time of day. 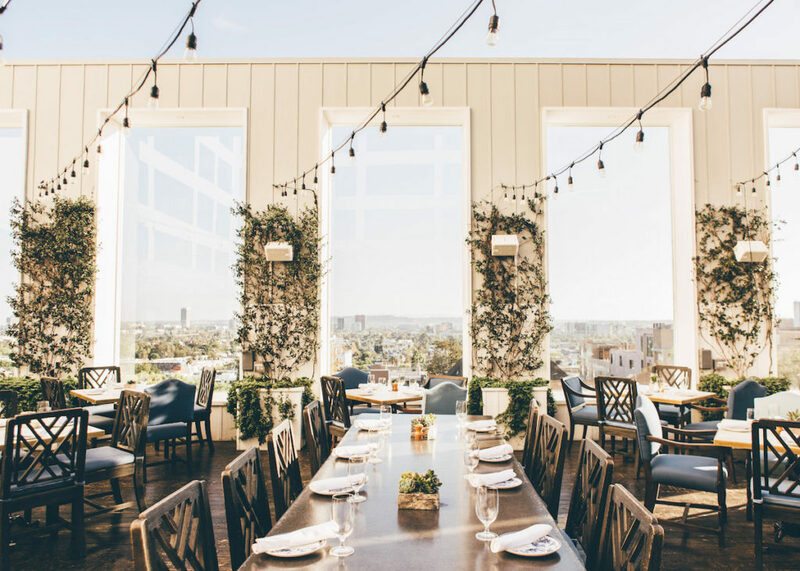 If you post it on social media, make sure to tag @skybarla and @aperolUSA for a chance to be featured on Skybar’s page. As for the specials, you can yell “cheers” with an Aperol spritz, or espaloma for $12, or with a Peroni for $6. If you have the munchies, charcuterie boards are up for grabs for $19, crab cakes (our fave at Skybar) are $16, brussels sprouts are $7, and roasted artichoke flatbread is $15. 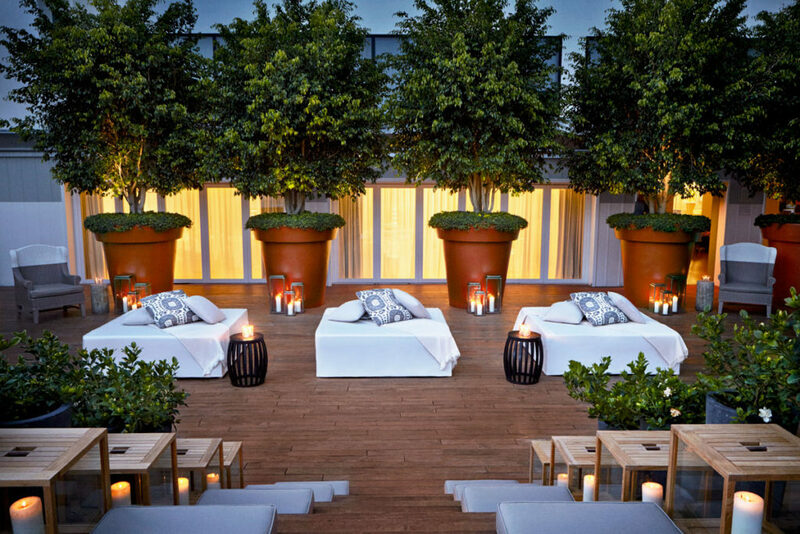 While you’re there, make sure to take in all that Skybar has to offer – especially if it will be your first time there. After you grab your cocktail at the upstairs bar, head downstairs to watch the sun set by the pool, or make a night of it and grab dinner at adjacent restaurant Ivory on Sunset. 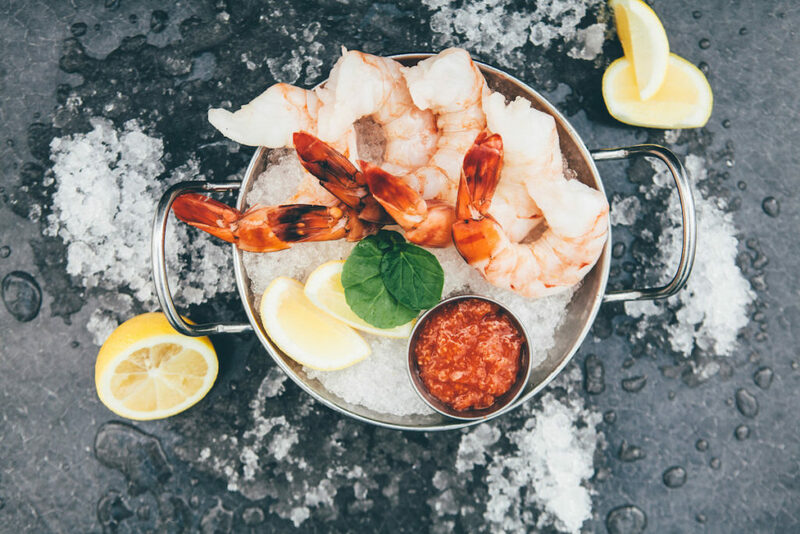 It has a delicious surf and turf menu, which includes lobster and watermelon salad, filet mignon, carbonara, and a chilled shellfish tower, among other faves. FAB Tip: Table reservations at Skybar are limited, so make sure to make reservations ahead of time if you would rather take a seat than sip your drinks at the bar. Also, it can get chilly in LA at night, so make sure to bring a light jacket with you just in case.